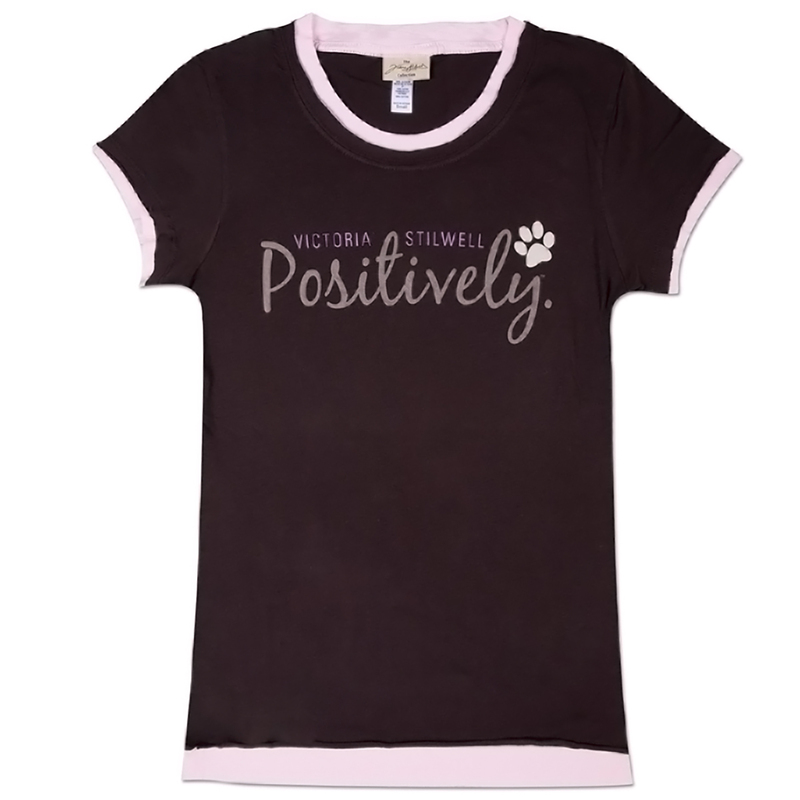 Show your passion for changing dogs' lives Positively by wearing this eye-catching two-tone ladies' fitted shirt personally designed by Victoria. This pre-shrunk, 100% cotton T-Shirt gives you the two-layered look in one garment with faux layers on the collar, sleeve and bottom hem for a cool, finished look. Available in Deep Chocolate with Soft Pink layers. These shirts run small, so if you are between sizes we recommend choosing the larger size.